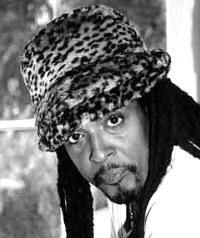 Bernard Fowler is a true renaissance man when it comes to the expanse of his career. He has a long list of credits, with experience which has truly spanned all genres of modern music: rock, jazz, funk, pop and latin. His critically acclaimed voice is powerful, soulful and unforgettable. Born and raised in the Queensbridge Projects of New York city, Bernard played bass in the neighbourhood salsa band. At 16 he began writing and singing in Total Eclipse, who later signed to Brunswick Records. As the frontman for Tackhead, Bernard began his journey to become a highly sought-after singing talent in the world. Bernard has appeared on many tours and albums, singing with some of the best-known artists of the 20th Century: Ryuchi Sakamoto, Gill Scott-Heron, Sly & Robbie, Material, Bootsy Collins, Philip Glass, Duran Duran, Herb Alpert, Paul Carrack, Yoko Ono and many others. Bernard spent the last decade touring and recording with the Rolling Stones, rounding out fourteen albums, including fronting three albums from Charlie Watts and contributing his voice to solo efforts from Mick Jagger, Keith Richards and Ron Wood. Not only is Bernard an accomplished vocalist, he is also a songwriter, trombone player, percussionist, keyboardist and producer. He has displayed these diverse talents with Ron Wood, Stevie Salas, the Rolling Stones, Living Colour, Herbie Hancock, as well as his own projects Peach Boys, Tackhead and Nickleback. Reunited in 2004 with the other members of Tackhead, touring and more recording seem to be on the cards. A contribution to 'Champagne & Grits' (ON-U CD1006), an album by fellow 'Head Skip "Little Axe" McDonald, also occurred around the same time. It is clear that with his highly-regarded talent, and unparalleled experience, Bernard Fowler will continue to lend his skills and sounds to many more thankful ears in the 21st century.